Because the tenets of evolution have become increasingly under fire, the fossil record has become used more and more as perceived evidence for evolution. 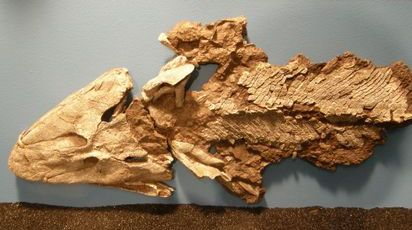 A popular talking point in recent years has been the discovery of Tiktaalik, a fossilized fish found in northern Canada in 2004. 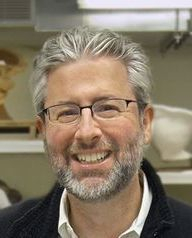 Dr. Neil Shubin, co-discoverer of the species, has been praised because it is claimed this finding was "predicted" in that he searched in strata that should have contained the ancestors to modern amphibians. This would be the fulfillment of a prediction, except for several problems. First, it has not been documented that the rocks in which the fossil was found are indeed 375 million years old. Radiometric dating is not reproducible, and relies on evolutionary assumptions, the foremost of which is that vast geologic time periods existed. Second, the "transitional" features are not convincing. Dr. Shubin found another example of a lobe-finned fish.There is no evidence that this was in transition to leaving the water. Despite the fact that illustrations depict this creature as walking on land, its lobed fins were not attached to the axial skeleton, so it could not bear the weight required to walk. This is yet another example of the liberal use of artistic license that used to convince the public into believing in a theory that cannot be supported by science. It is unanimously classified as a fish, so it is not transitional between a fish and an amphibian. This fossil has become a beloved icon of evolution. 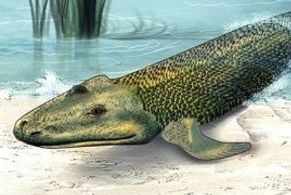 Dr. Richard Dawkins stated, “Tiktaalik is the perfect missing link—perfect, because it almost exactly splits the difference between fish and amphibian, and perfect because it is missing no longer.” Statements such as these underscore the desperation that evolutionists feel in presenting evidence for common descent. It cannot be declared "perfect" because it consists of only part of a skeleton. Its soft tissue biology cannot be examined, so any authoritative statements must be ignored. If paleontologists are interested in documenting a credible "prediction" of Darwinian evolution through the fossil record, a logical place to start would be in strata which pre-dated flying reptiles. Over 1,000 fossilized pterosaurs, all perfected in their ability to fly, have been found, spanning over 130 million years of supposed evolutionary history. Darwinian evolution predicts that innumerable transitional forms will be found, manifesting early iterations of transmutation of the forelimb into a wing. However, paleontologists dismiss this request as unrealistic, in view of the fact that they can't even imagine what a hypothetical pterosaur ancestor would look like. It's easy to imagine finding another species of lobe-finned fish. It's impossible to imagine finding a terrestrial pterosaur ancestor with slightly elongated fourth digits and slight webbing between those digits, and partially-fused metacarpal bones. Paleontologists are proud of the line of descent that they've imagined between australopitheicus and modern humans. Everything presented can be explained by natural selective breeding. They have seized on a variable feature, skull shape, and contrived an evolutionary pathway. The skull shape is known to vary substantially in modern humans. Therefore, the finding of a human skull with a reduced brain size and sloped forehead does not prove speciation. 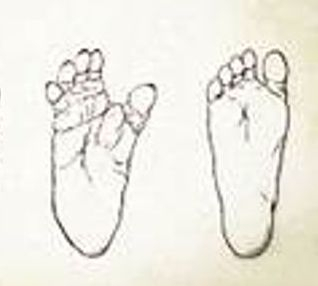 The fulfillment of a valid prediction would be the finding of a transitional step between an ape foot (with an opposable big toe) and a human foot. There is no signicant variation in foot morphology in modern humans or apes. Thus, the finding of a transition between an ape foot and a human foot would point to mechanisms of macroevolution. Despite the homology between humans and apes, the transition of an ape foot to a human foot is not a simple process. The fossil record has failed as a prediction of evolution. It should be used as evidence against evolution. Millions of transitional species are logically predicted, and they are not found. Evolutionists continually site very questionable examples, the interpretations of which are subjective. The reason the fossil record is presented as evidence for evolution is because for evolution to be true, it has to be verifiable through the fossil record.